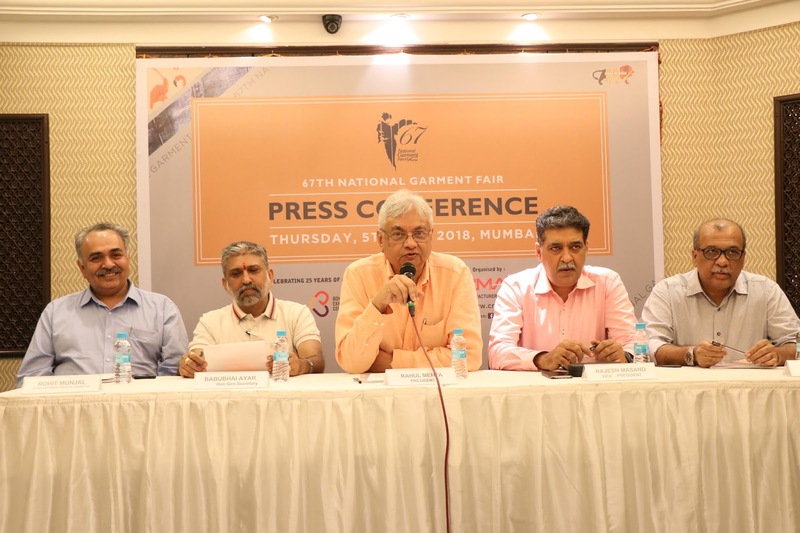 The Clothing Manufacturers Association of India (CMAI) is organizing “India’s Largest Apparel Trade Show – The 67th National Garment Fair” from 16TH July to 19th July 2018 at Bombay Exhibition Centre, NSE Complex, Goregaon (East), Mumbai. The Fair will be inaugurated by …. 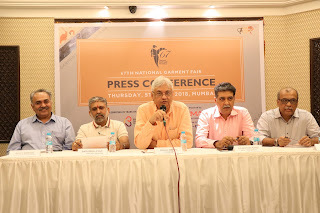 Mr. Rahul Mehta, President, The Clothing Manufacturers Association of India (Ex-Chairman, International Apparel Federation), stated that this B2B Fair will be spread over Approx. 6,50,000 Square Feet, covering all the Halls at the Bombay Exhibition Centre. There will be 916 Exhibitors in 986 Stalls displaying 1087 Brands. This will be India’s Largest Ever Garment Fair held so far. The Fair will display leading Brands in Men’s wear, Women’s wear, Kid’s wear and Accessories.CMAI will also publish the ‘Show Directory’, popularly known as the Fair Guide. 67th National Garment Fair will be over 4 Days instead of the normal 3 Days Fair. The Fair timing will be from 10 AM to 9 PM. For the first time the July Edition of the National Garment Fair will be a ‘No Decoration Fair’. This B2B Fair will be open only to Trade Visitors & Garment Retailers. The Business Networking Sessions between the Exhibitors and Agents & Distributors, High Street Retailers, National Chain Stores & E-Commerce Companieswill continue this year. This year CMAI is also Celebrating 25 years of Association with Bombay Exhibition Centre. According to Mr. Rahul Mehta, President –CMAI, India’s domestic apparel market is estimated at US$ 67 billion in 2017 which has grown at a CAGR of 10% since 2005. 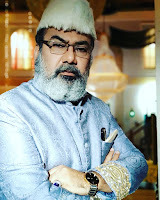 Indian domestic market has performed better than the largest consumption regions like US, EU and Japan, where depressed economic conditions led to lower demand and growth.Due to presence of strong fundamentals, the domestic apparel market size of India is expected to grow at 11-12% CAGR and reach about US$ 160 billion by 2025. The domestic market size is dominated by Ready-To-Wear category, market size ~US$ 56 billion, with 84% share which is further growing at a CAGR of 10-11%. The Ready-To-Stitch market is also gaining momentum as more and more men who have been buying premium or luxury readymade clothing brands want to wear a shirt or a trouser that fits them perfectly. The Ready-To-Stitch market currently at US$ 11 billion is expected to grow at a CAGR of 7% and reach about US$ 20 billion in 2025. On the recent Plastic Ban announced by the Govt Of Maharashtra, Mr Mehta welcomed the Clarification issued by the Environment Department allowing the use of PP Bags for wrapping the Garments at the Manufacturing Stage under a mechanism for the collection of the used PP Bags through a buy-back mechanism and ensure the recycling and final disposal of the collected PP Bags. Mr Mehta once again reiterated CMAI’s commitment, as a responsible organisation, to protect the environment and assured that their Members will work hand in hand with the State Govt& Local Authorities and ensure that all used PP/Plastic Bags are responsibly recycled and disposed off. Mr. PremalUdani, Chairman- Board of Trustees of CMAI stated that Apparel Exports have taken a beating from October 2017 onwards. The introduction of GST has resulted in non-refund of several embedded taxes. Consequently apparel exports for the financial year 2017-18 declined by 4% to USD 16.7 billion from 17.38 billion in the previous year. The downturn continues in FY 2018-19 with a month on month decline of 10%. The Government is seized of the matter and has assured that embedded taxes will be refunded through the drawback route. CMAI’s First Apparel Training Center at AsmeetaTexpa, BhiwandiCMAI is setting up their First Apparel Training Centre, spread over 8,000 sq. feet, at AsmeetaTexpa, KalyanBhiwandi Industrial Area. The Centre shall be operational by the end of this year. This full fledgedTraining Centre shall offer Courses for Sewing Machine Operators - Basic & Advanced, Supervisors, Quality Checkers & Finishers & Packers and will train up to 4,000 Trainees per year. A Tripartite Memorandum Of Understanding betweenGovt of Gujarat, GIDC and CMAI will be signed on 10th July 2018 where CMAI shall decimate information amongst its Members promoting Gujarat as a Destination for Investments.